Editor’s Note: This story originally appeared in The British Bluegrass News. The UK tour mentioned in the story actually got underway yesterday. It’s early January, and Bronwyn Keith-Hynes is enjoying a brief break in what has been a very busy schedule for her and her Mile Twelve bandmates when we catch up with her for a little chat about their plan for the new year. The band toured relentlessly in 2018, playing more than 100 dates before getting off the road in December to hit the studio to record their second fill length album. In a few days they would be back on the road again, starting a spring run that will include an 11 gig UK leg in March. They won’t be complete strangers. Among there friends from the U.K. are the gals from Midnight Skyracer’s. Mile Twelve mandolinist David Benedict is engaged to Midnight Skyracer banjo picker, Tabitha Agnew. There is a little bit of synchronicity in that relationship. Both bands have been recognized by the International Bluegrass Music Association for being sort of hot, young, up and comers in bluegrass music. Last year Midnight Skyracer was the first UK band to be nominated for IBMA’s prestigious Momentum Awards. Mile Twelve won that honor in 2017. Agnew was nominated for a Momentum Award for her banjo prowess. 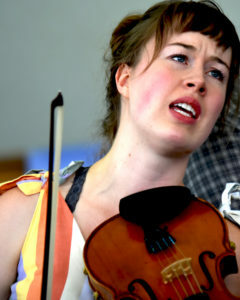 Benedict and Keith-Hynes, who plays fiddle, both won Momentum honors for their instruments in 2018 and guitarist Evan Murphy was nominated for a Momentum for his vocals. There is a little similarity in the two bands’ geographical roots, too. Neither come from areas that a lot of people would think of as bluegrass hotbeds. There’s not a Kentucky native in the bunch. 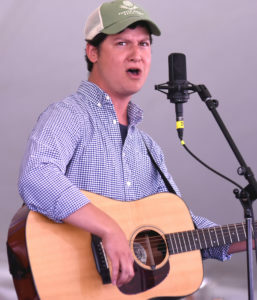 Keith-Hynes, who grew up in Charlottesville, Virginia, and Benedict, a South Carolina native, are the only members of Mile Twelve with any sort of roots in the American south, but in some ways Keith-Hynes’ musical background is closer to Midnight Skyracer’s than Bill Monroe’s. She grew up playing Celtic music before moving to Boston at the age of 17 after auditioning, and winning a scholarship, to attend the Berklee College of Music, where she enrolled in the school’s American Roots Music Program. That was where the band came together. Although less heralded than places like Nashville, Boston has built a serious reputation as a bluegrass hotbed. Much of that is thanks to Berklee’s program, which has helped develop a lot of bluegrass talent. That’s where folks like Chris Pandolfi and Andy Hall, of the Grammy winning Infamous Stringdusters, and Sierra Hull, studied music. 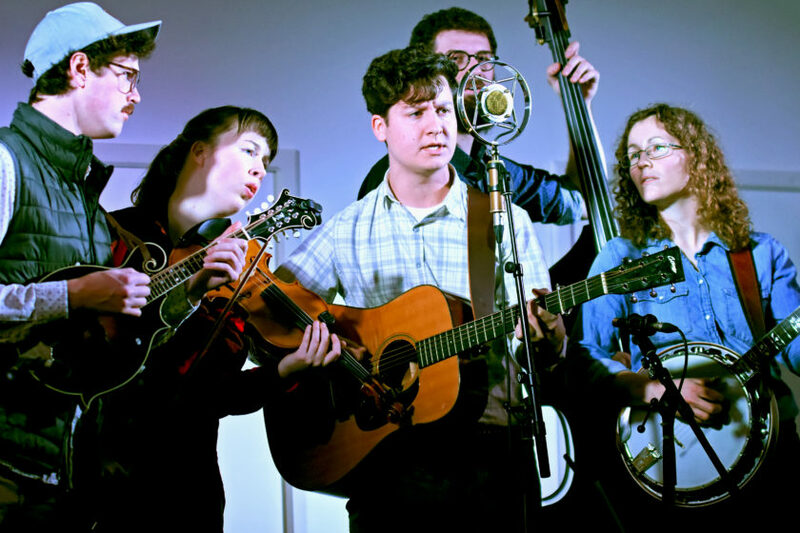 Crooked Still and The Lonely Heartstring Band have their roots in Berklee and folks like Bela Fleck, David Grisman, Del McCoury, Alison Kraus, and Ricky Skaggs are among the bluegrass legends who have been a part of the school’s visiting artists program. It was Boston’s reputation that drew New Zealand born banjo picker Catherine “BB” Bowness to town when she decided to emigrate to the US after graduating from the New Zealand School of Music with a degree in Banjo Jazz Performance. “I knew there was a good scene there and I figured it might be a good place to find other young musicians to play with,” Bowness explained in an interview with The Brewgrass Chronicle at last summer’s Grey Fox Bluegrass Festival. Boston is where Keith-Hynes and Bowness met and decided to form a band. “We decided we should just start something because nothing else was coming our way,” says Keith-Hynes. The ladies first reached out to Murphy, a Massachusetts native who spent several years in New York City after getting his degree in music from Boston College before returning to Boston, where he met Keith-Hynes and Bowness at a local jam. Nate Savat, born and raised in that other bluegrass hotbed — New York City — was a student at Berklee when they recruited him to hold down the bass. 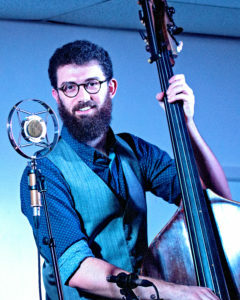 The band came fully together when Benedict, who has a degree in mandolin music performance, moved to Boston after a three-year stint in Nashville. A big reason for Mile Twelve’s success is the band’s Boston aura. An old, colonial, New England city. Boston has a prim and proper sort of image. Things are a little more formal there than they are in the traditional bluegrass country of the Appalachian south. You can feel that stereotypical blueblood, buttoned up collar polish in their music. That is not a bad thing. To the contrary. It is a sign of a band that is genuine and true to its roots. These are not country folk. They all have degrees in music, two of them from Berklee, a New England conservatory, for heaven’s sake. They did not grow up in a cabin in the holler. Some of them may have tried dressage, but we’re pretty sure they haven’t driven a plough horse. So if they are going to be genuine, true to themselves, it should reflect the urban environment they come from, and Mile Twelve does. And they should never change. Mile Twelve plays genuine bluegrass written about and played by some professional musicians who have that aura that professionals and artists in big cities often project. It’s authentic. It’s genuine. And it’s a lot of fun. The musicianship is very precise, the arrangements tight. You can tell they have that conservatory, formal, musical training. There is a certain air of virtuosity in the way they play. The vocals, especially the three, and occasionally four–part, harmony is sublime. But make no mistake, this is bluegrass music, through and through. “We love bluegrass. We are so influenced by it. That comes across in our picking and in the way the guys sing,” says Keith-Hynes. It also comes across in the way they have been embraced by the bluegrass community, from their numerous IBMA honors, to their ever rising profile on the festival circuit. Their appearance at Grey Fox marked their fourth year at that prestigious event, one of the biggest bluegrass festivals in the U.S. 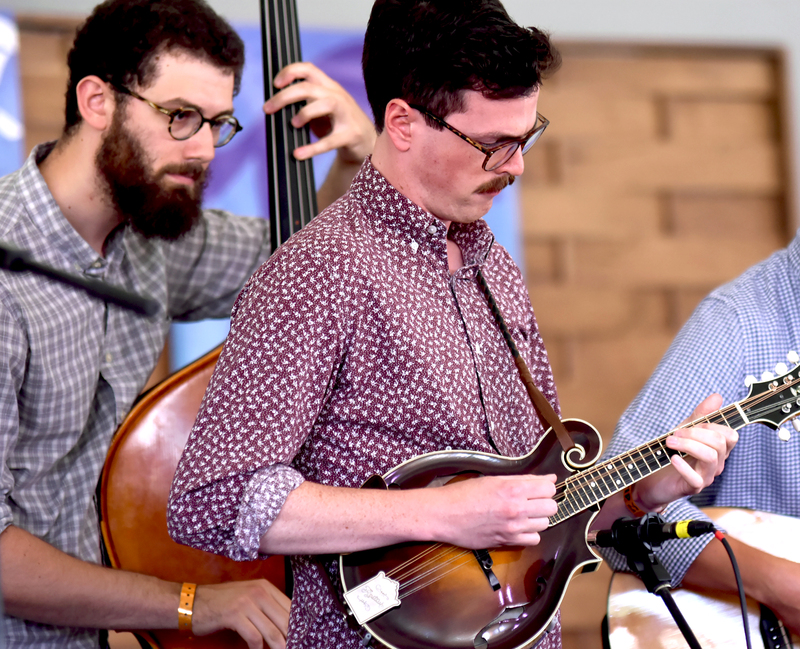 Among the dates announced thus far for 2019 are gigs at North Carolina’s popular Merlefest and an appearance at the 78th Gettysburg Bluegrass Festival in May. Later this summer they will head back to Europe to headline at La Roche. “It’s our second album. We’re starting to find our sound a little more. The whole album is much more cohesive,” says Keith-Hynes. A late March release date is targeted. The band hopes to have some pre-release copies along for sale when they visit the U.K. 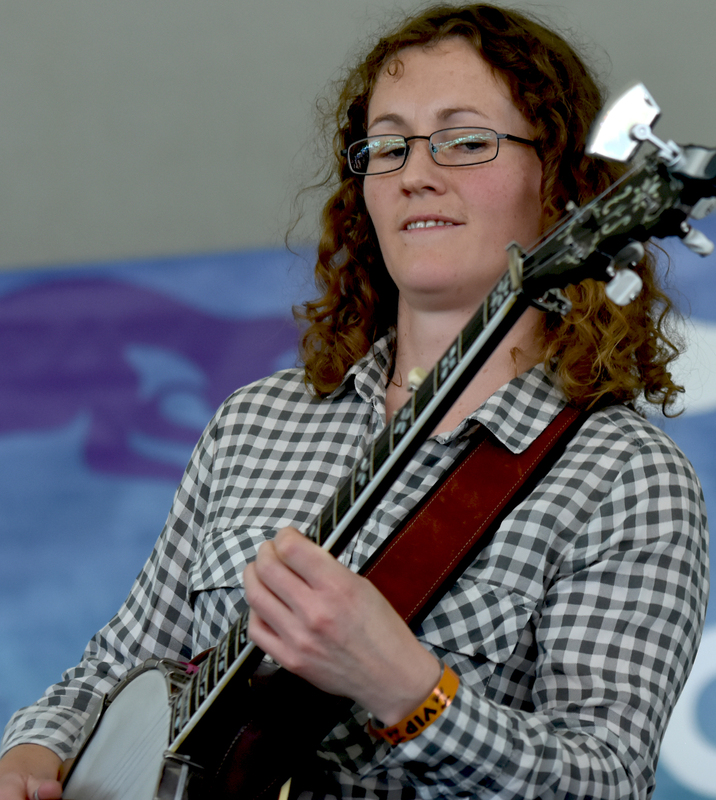 The British Bluegrass Music Association helped arrange the band’s visa and work permits for the tour, which kicked off March 14 at the Norden Farm Centre for the Arts in Maidenhead and wraps up March 29 at The Live Room in Saltaire. You can find the complete schedule on the band’s web site at www.miletwelvebluegrass.com.